Wow! What a beautiful, emotion, amazing love story. This was my first book by Adriana and it will not be my last. This book was very emotional, made you think about your life. All of these characters were so easy to connect with and even though there were plenty of tears there were a lot of laughs. You get to read about Elin and Ty. A married couple that have had many challenges. Challenges that many couples are forced to deal with today. You just feel for these characters and not even just the main ones. I would be lucky to find the kind of love that all of these characters share. I highly recommend this book. 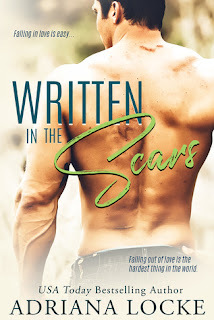 If you are a fan of second chance romance, like amazing characters, and a beautifully written story then this book is for you! I want more from these characters! I know this is a standalone but I'd love to get an update on how they are all doing. Maybe a novella would be consider? Happy Reading! 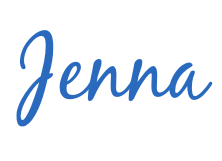 Thanks for review Jenna! I feel that way too sometimes when I read a book and really love the characters-I always want to read another book or novella to see how they are doing!